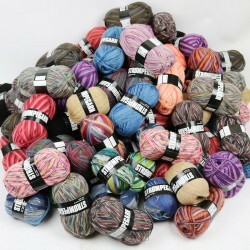 Sock yarn is a traditional yarn that that has been reinforced so the features and benefits make it perfect for socks. It has been treated so it can be machine washed and is often mixed with other fibres that make it extra durable. 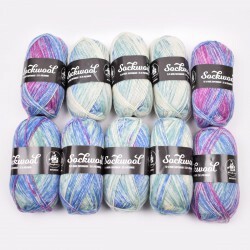 Sock yarn comes in a variety of different configurations and colours. 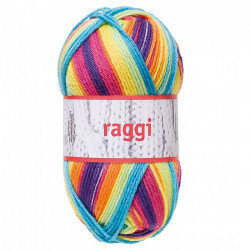 The advantages of using sock yarn rather than regular yarn for crocheting or knitting socks is, that sock yarn is much more durable. 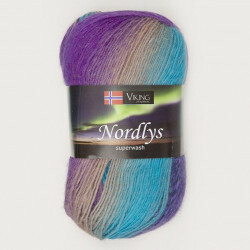 You could say that it's just an enhanced version of regular yarn. 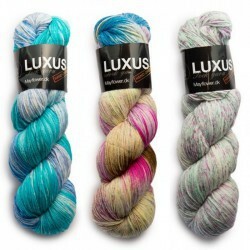 Additionally, one of the most important advantages of sock yarn is, that it’s superwash treated. 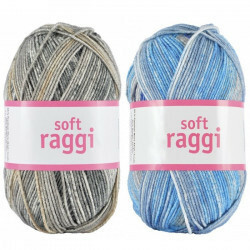 When something is superwash treated it means, that the yarn is particularly suitable for everyday use and can withstand a machine wash at up to 40 degrees without losing its shape or colour. 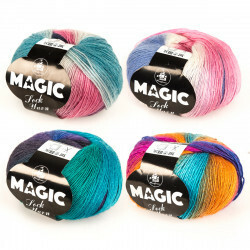 Whether you're in to a single-shade and stylish look or a more colourful and unique look for your socks, we have the yarn for you. 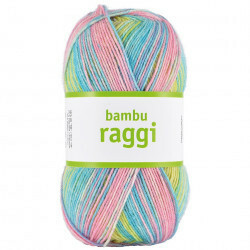 We sell both single and multi-coloured yarn, so you can make exactly what you like. 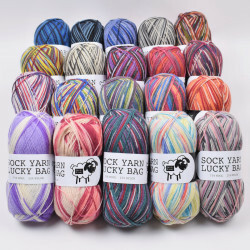 The unique thing about sock yarn is how the pattern turns out – you could have a quick change of colour or a little longer between the colour changes. It’s entirely up to you to choose what kind of pattern you like the best. Some like a lot of jumbled up colour changes, while others are more in to calm patterns or the all-classic, single-shades, black, grey or white. Thus, sock yarn and the making of socks often becomes a personal matter where you can create and express your own style. As we all know, a pair of home-knitted socks can do wonders on a cold winter morning where they keep feet warm and cosy. In addition, socks are a relatively easy project to embark on, but will be a very well received gift, especially because of the personal effort that has been put into it. There is no doubt that we, here in Scandinavia, are big patrons of home-knitted socks, as we can make use of them for at least 6 months of the year. Therefore, they are also very suitable for birthday and Christmas presents for both children and adults alike. 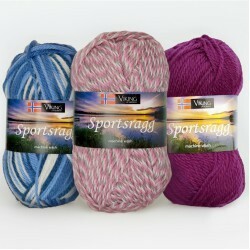 At Hobbii.dk we strive to be one of the best and fastest at delivering sock yarns and yarn accessories. Therefore, you will always get your parcel within three business days of ordering online. We take pride in keeping a high standard in our customer service department and please don’t hesitate to give us a call if you have questions about our products. We always provide full right of return on goods ordered on our web shop. You are always welcome to contact us if you have questions about our sock yarns or need help ordering. You can contact us via our contact form and we will respond to you as quickly as possible. Or you can call us on 0045 31 86 33 57 or email support@hobbii.com. We look forward to welcoming you as our customer. 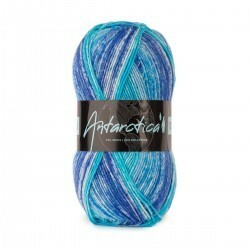 I am a relatively new knitting and was looking for some nice sock yarn. Happy feet was easy to work with, had a nice feel while I was knitting and made a lovely pair of socks. 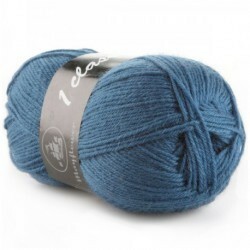 I love this yarn and have knit socks with it before. The colors draw me in at first. Then when I get to casting on, I am impressed with the strength of the yarn. They wear like iron, which is good, since I am hard on my socks. Definitely a go to sock yarn for me. 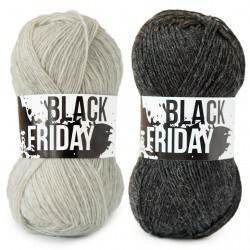 I just love this sock yarn. So lovely to knit and so warm. I like the idea of buying the Colour Bags because I can never decide which colours to buy and with this I can be surprised. Great value too.